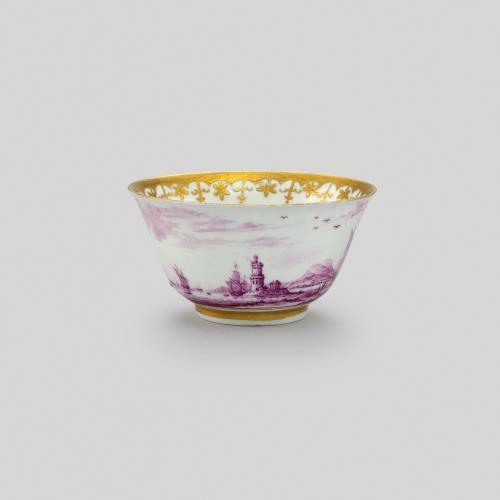 This tea bowl was produced as a replacement piece for a Meissen tea service made circa 1730. 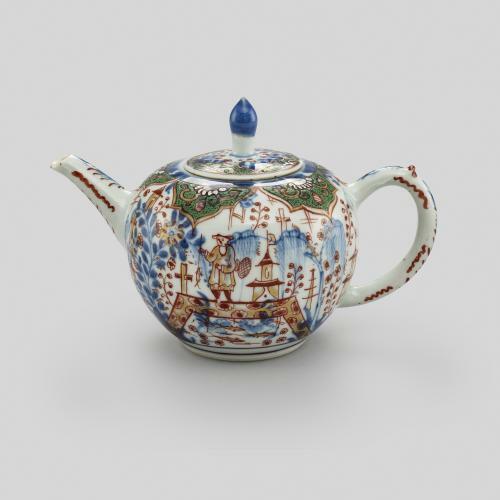 The appearance of the paste, glaze and gilding suggests that it was made at Vauxhall or Derby, two ceramics manufactories active at this time. 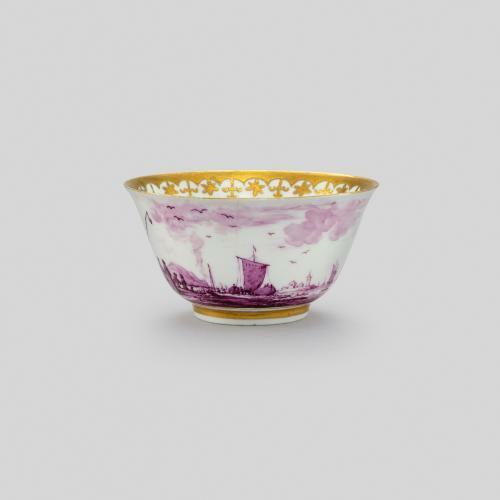 The date of manufacture for this replacement therefore suggests that the original Meissen set was in England prior to the mid-1750s, and was most likely owned by a wealthy family who embraced the new fashion for tea-drinking. 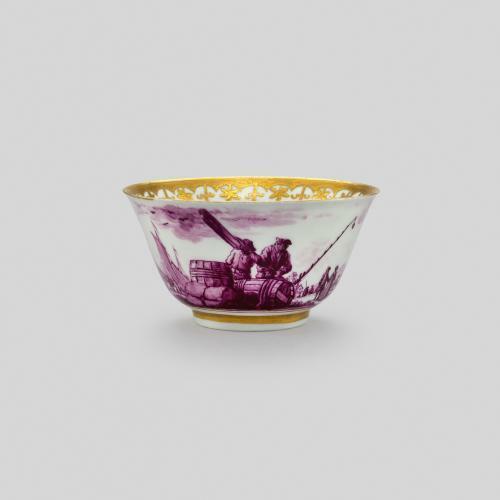 The tea bowl is decorated with Kauffarhtei (‘trading’) scenes in monochromatic puce (pinkish-purple) enamels. 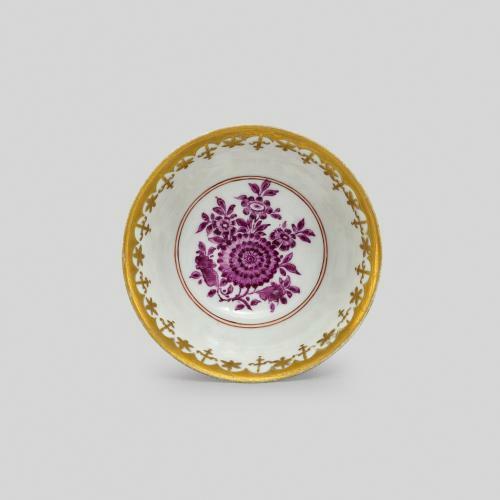 Puce-coloured porcelain decoration came into fashion both in China and Europe around the 1720s, and is characteristic of the work of Christian Friedrich Herold, a porcelain decorator at the Meissen factory. 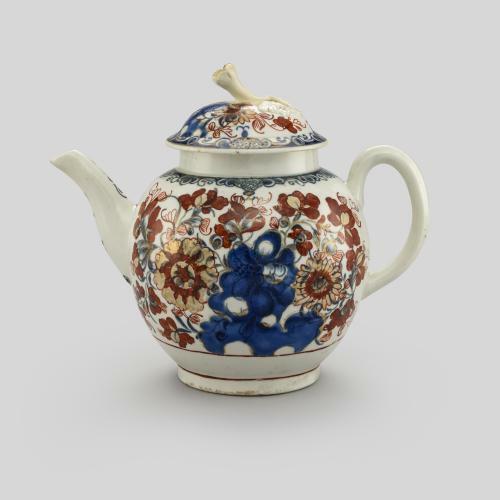 It is present in most of Meissen’s painted scenes, although the colour was extremely costly as pure gold was one of its main components.